If you don't see your stock on Nasdaq, it might have been delisted. 1. What Does Delisting on the Stock Market Mean? 3. What Is a Blackout Period? Upheaval in the public markets and in the economy can wreak havoc on some Nasdaq listings. 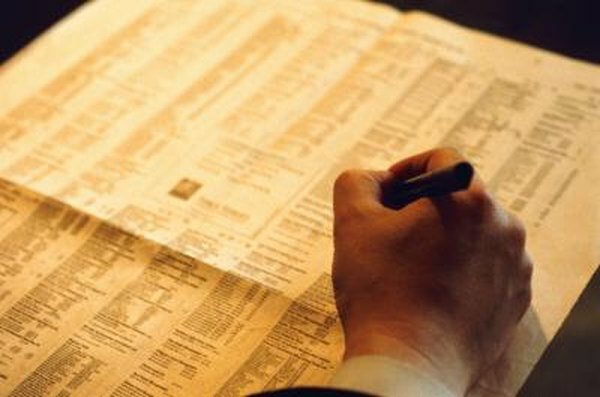 Companies listed on the Nasdaq Stock Market must meet requirements for continued listing. If a company can't maintain the minimum requirements to remain listed, Nasdaq will delist it. Failure of a company to meet a minimum closing bid price of at least $1 for 30 consecutive trading days can trigger delisting. When this happens Nasdaq issues a deficiency notice to the company. Another action that brings a deficiency notice is a company's failure to file periodic reports by dates specified by the Securities and Exchange Commission. Any Nasdaq company receiving a deficiency notice has four business days to file an 8-K form with the SEC or to issue a press release to announce the notice. However, reporting failures require a company-issued press release. The company must provide the deficiency notice’s receipt date, unmet listing requirements, and action plan. The company must send a copy to Nasdaq before issuing the press release. After receiving a deficiency notice, a company has 180 calendar days to return to compliance. A company warned about its shares' minimum bid price must achieve a closing price of $1 or more for 10 consecutive trading days during this period. Report-filing offenders must file the required reports, and then must file subsequent reports by the due dates. If a company with a minimum market value of $1 million in shares held by non-affiliates satisfies the other listing requirements, it may receive a second "cure period" of 180 calendar days. To receive this, the company must notify Nasdaq of its intent to correct the deficiency. Nasdaq may exercise its discretion in determining whether it believes the company can cure the deficiency. If a company fails to comply with the minimum requirements during the first grace period or any second grace period, Nasdaq will issue a delisting letter to the company. As with the deficiency notice, the company must notify the investing public of the delisting letter within four business days, by filing an 8-K with the SEC. The company then can appeal its delisting to the hearings panel. Once a company receives a Nasdaq delisting letter, it has seven days to formally request a hearing. This request effectively halts the delisting process until the panel renders a decision. At the hearing, the company must present a detailed plan to regain and maintain listing compliance. The panel may consider the company’s financial strength, general market overview and historical pricing. After the seven days, Nasdaq delists a company. First it suspends trading of its security, then it finalizes the delisting. If a company appeals but the panel rules in favor of delisting, Nasdaq gives the company 15 more days to further appeal to Nasdaq or in federal court, but it begins final delisting procedures. What Is an IPO Lockup Period? What Happens to Stocks When Companies Merge? What Happens When I Don't Tender My Shares?